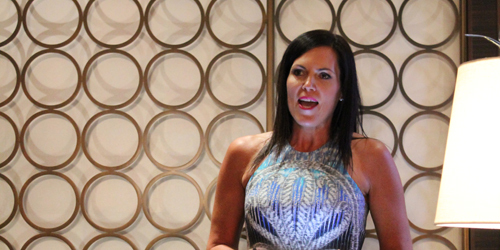 Last week, I had the pleasure of attending the pre-launch party for local author Jacquie Somerville's upcoming book, "My Fat Little Rule Book." 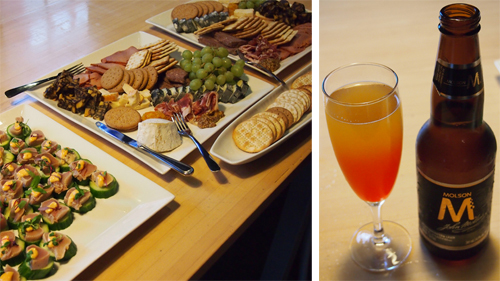 The event was a fabulous affair, held in a gorgeous two-storey penthouse suite at the Hotel Georgia, where we downed cocktails and noshed on a delicious spread of food. Jacquie also read us some excerpts from "My Fat Little Rule Book" - a story about how a fashionista finally reconciles with being a foodie. This is definitely a girl after my own heart. "My Fat Little Rule Book" will be available in ebook form soon, with a print copy to follow not long after. Jacquie's work is incredibly candid and funny, and I personally can't wait to read the whole thing. Many thanks to Jacquie and Brendan Bailey PR for the invite, and Sheila for playing photographer! 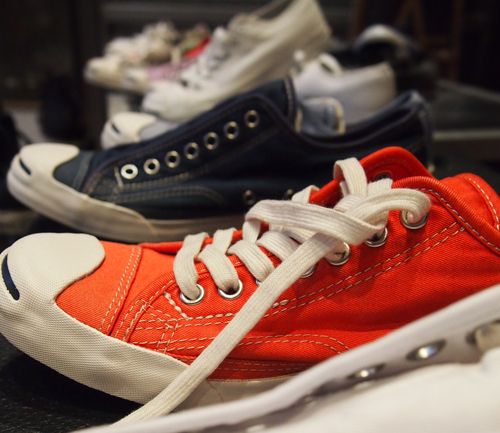 Yesterday, I also got to preview Converse's new designs for Spring/Summer 2012. Since my classic black and white Chuck Taylor All Stars are summertime staples, I was super excited to see what the brand has planned for the upcoming seasons. The event was held at The Warehouse Studio in Gastown, where we were first offered glasses of the new #MBellini, a cocktail made with Molsen beer. I don't drink beer because I can't stand the taste but I really liked it in this alternative form. Yum! 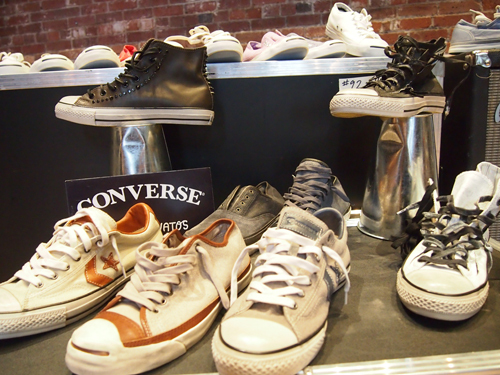 Next, we were given a "tour" of Converse's Spring/Summer 2012 Collection (thanks Chris!). You can expect to see updates to the classic Jack Purcells and Chucks in seasonal colours and on-trend fabrics, as well as cool collaborations with DC Comics (my personal fave), Gorillaz, John Varvatos, and Marimekko. There are also some amazing boat shoes (think Sperrys but Converse-style) and lightweight summer styles to look forward to. Thanks so much to Micki Benedetti for inviting me to this preview, and if you see any shoes you like (those amazing purple ones, for example), you should start to see them in stores soon! You look SO cute! That dress is adorable! Those purple Converses are calling my name too! I'm intrigued to try this MBellini because I also dislike the taste of beer but that actually looks pretty good! Aren't they amazing. They would match my jeans perfectly, haha. Apparently there are tons of cocktails you can make with beer, I'm surprised I've never even thought about it. girl....you have been QUITE the busy bee!! great coverage of both events...and really SO exciting!!! Both look like fun events! Ah such a glam life you lead ;) Those second to last Converse are super cool. Yeah, the Gorillaz collaboration is incredible. 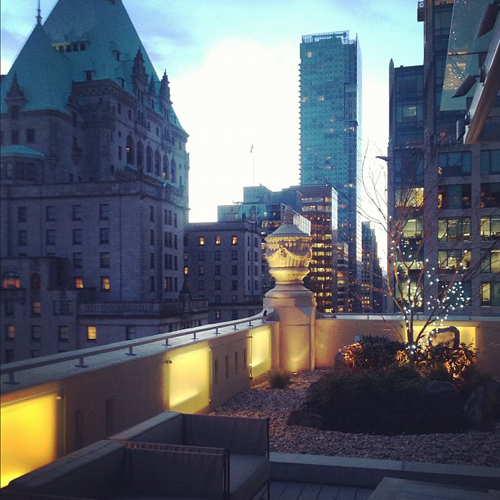 The view from Hotel Georgia is stunning! Isn't it? It would be so incredible to live somewhere with a similar view. Stunning first photo. 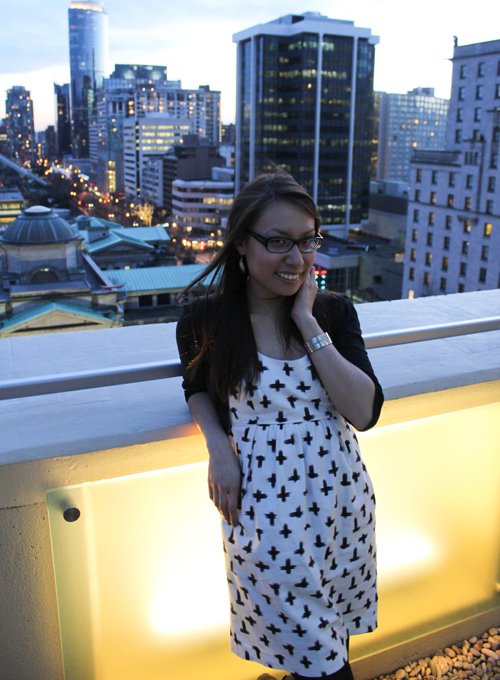 Ah, I miss Vancouver. Great preview! 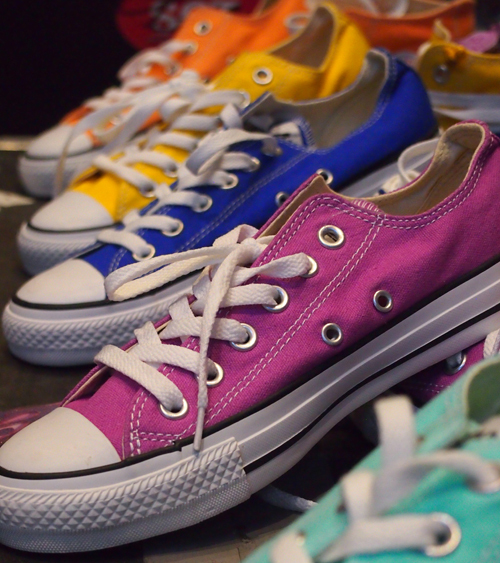 Loving the colors of the converses. So good seeing you at both these events! Both were so much fun, love how we're all out prowling around the city these days haha. Hope to see you at more events in the near future lovely lady! Wonderful colors. 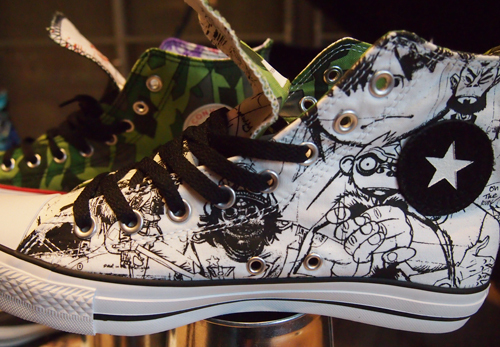 I need a new canvas sneaker. Mine will probably be boring white.